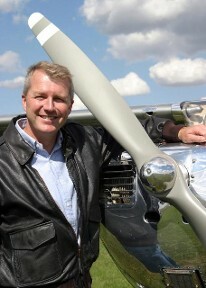 General Aviation Pilots need advanced training that goes beyond what the FBO’s and other flight schools can offer. The FAA pilot test standards and training curriculums are the minimum requirements for demonstrated aeronautical knowledge and ability. To improve the safety of General Aviation, pilots should seek “graduate level” training. 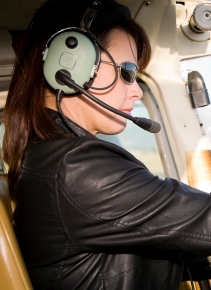 DVI's Flight Instructor Experts offer a variety of specialized one-on-one safety courses. Call today to schedule a session. All courses take place both in the classroom and cockpit. Command Training is a highly specialized course designed to train General Aviation Pilots how to be Pilots-In-Command, much like the training that Captains receive at the major airlines. This information is never taught at the FBO flight schools. This in depth course, taught by DVI's Flight Instructor Experts, covers cockpit leadership techniques, error management, risk management, human factors, aviation psychology, and expert based scenario training. Human Factors Flight Review Need a challenge on your next Flight Review? Why not put your piloting skills to the ultimate test? The Human Factors based Flight Review utilizes actual accident scenarios to simulate situations that require the honing of decision making skills. This is a one of a kind Flight Review, taught by DVI's Flight Instructor Experts, in which your decisions can be measured against the accident statistics. The outcome of this Flight Review is a deeper personal understanding to your own reactions to stress, spatial disorientation, and unexpected circumstances. 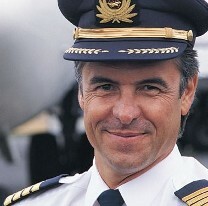 Call today to schedule a custom tailored Human Factors Flight Review. Call Today for Schedule and Pricing!